Wrong. 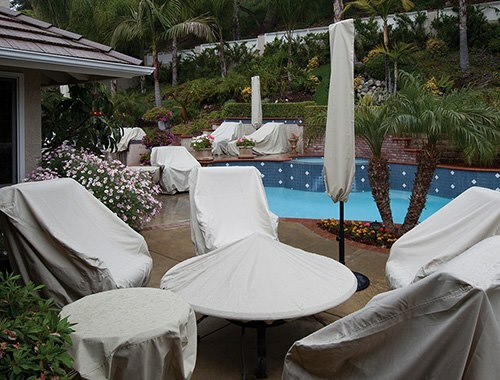 Putting away your outdoor furniture without properly cleaning it first can be disastrous. All winter long, smells, stains & dirt can soak into the weaves of the fabric, causing permanent problems. BUT, we have a solution for you! 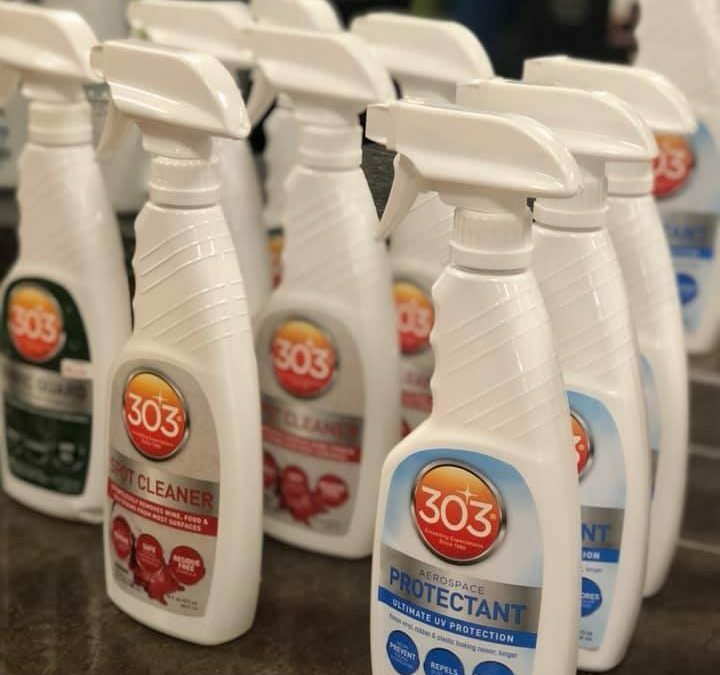 Our line of 303 cleaners are made to seal, protect & clean all of your outdoor furniture. We recommend using the 303 Multi Surface Cleaner before storing your outdoor furniture for the winter. This spray cleans and brightens all water safe surfaces, including fabrics, upholstery, plastics, metals, vinyl, rubber and stainless steel. Once you have cleaned your furniture, you may want to look into covers. After you have cleaned your furniture & covered it, you can rest assured your investment will be just as beautiful in the spring as it is now. Are you wanting to keep your furniture out longer? No worries! Our furniture is made for year round, outdoor weather. Your furniture can withstand mother nature any time of the year (unless there is ice! ).